Built in India, the Pixo was Nissan's answer to the growing city car marketplace. 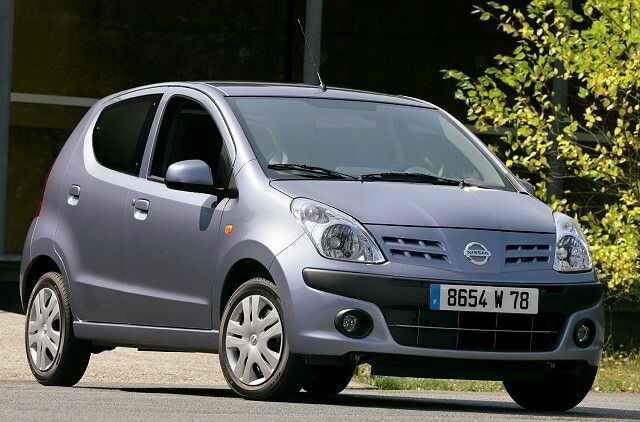 Nissan needed a sub-Micra city car so it did what so many manufactures do and bought one in. The Suzuki Alto was that car, Nissan grafting on its own nose and badges and re-naming the Alto the Nissan Pixo. Built in India, the Pixo was Nissan's answer to the growing city car marketplace, though against very best rivals like Volkswagen's up! and its SEAT and Skoda relations, the Toyota Aygo, Citroen C1, Peugeot 107 and Hyundai i10, the Pixo wasn't a hugely temping proposition. The Pixo's status as an entry-level city car means it's a fairly simple device. Power comes from a 68hp three-cylinder petrol engine, which can be had with either a five-speed manual or four-speed automatic gearbox. It's not quick, but it's got enough oomph for the cut and thrust of city traffic; just don't expect to set any land speed records when you're out of town. Space inside is good, while the bargain basement original pricing means equipment is relatively light, but the basics are all there - unless you consider wind-down rear windows basics, as the Pixo's pop out at the rear rather than disappearing into the door. That's true of some of its rivals though, and really, aside for odd occasions, it's unlikely you'll be squeezing people in the back seats anyway. The interior materials aren't exactly at the more expensive end of the build, quality and tactility spectrum, but it all feels honest and hard-wearing. The suspension is fairly soft, to the benefit of ride comfort around town, but it does mean some pretty serious lean if you get a bit enthusiastic in the bends. The boot is tiny, so best to think of those rear seats as additional luggage/shopping storage, though the compact dimensions do mean that it's a cinch to slot into a supermarket parking space. Running costs should be miniscule and fuel consumption good too, so long as you don't go pushing that accelerator to the floor in the search for more performance. The automatic transmission saps power even more, but many buyers like it for its convenience - even if there's an economy and emissions penalty. There's only a single engine choice, but two transmissions give some variety. The auto is an easier proposition around town, even if it's slower and less efficient. Specifications are all roughly the same money on the used market, so look for the higher SV and SVE levels if you can find them. We'd have the auto, for its ease of use. The Pixo is a no-nonsense offering from Nissan if you want a small, inexpensive car. There are better choices out there, though, particularly on looks and interior ambience, though at least the Pixo scores well on space.